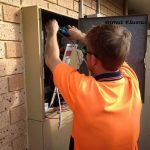 Are you in need of an Armadale electrical expert to help you with an electric problem in your home or business? Or perhaps you’re extending your home and need someone to wire it up, or to fit some new lights in an existing part of your property? Whatever your reasons are for requiring electrical services, you can be sure that when it comes to finding an electrician, Armadale locals should only ever look in one place. 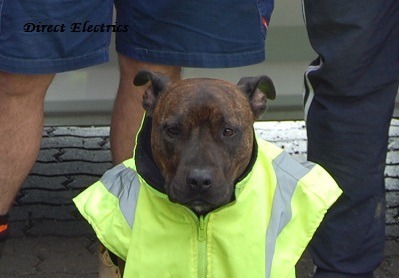 Here at Direct Electrics, we’ve built an outstanding reputation in the Western Australian electrics industry on the back of over a quarter of a century of providing premium, affordable electrical services to the people of Perth and the surrounding suburbs. Our team are all trained in-house under our apprenticeship system, so we can assure our customers that every electrician on our books is trained to the same ultra-high standards. And it’s not just in terms of the quality of our team that we don’t cut corners: we’re absolutely committed to ensuring that our staff turn up to each and every job with superior quality materials and the most advanced, modern equipment available for the job. 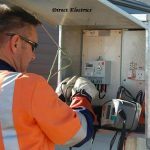 As a result of all these things, we’ve come to be known as the commercial and residential electrician Armadale home and business owners can always rely on for the very best electrical services in the area, at the very lowest possible prices. Armadale customers should always be careful not to fall into the trap of attempting to perform electrical work on their properties themselves. Whilst it may seem like a great way to save money, it’s actually a dangerous false economy. Not only will your home not be considered applicable for sale under Australian law due to the fact that it’s electrics have been installed or otherwise worked on by a non-electrician, but also because you’re almost bound to face other, even greater problems further down the line that will force you to call out a professional. By attempting electrical work yourself or by hiring a non-expert, you’ll also be taking a very immediate risk in terms of safety, as there’s absolutely no way to guarantee that the work will be carried out in a safe manner unless it’s being conducted by a qualified professional. When you do choose to hire a professional, you’ll enjoy the benefits that come with having a qualified and experienced expert take care of the job. 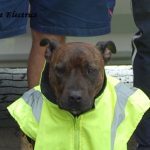 This means that everything will be carried out as swiftly and efficiently as possible, there will be no corner-cutting regarding safety, and you’ll end up with an electrical system fit to stand the test of time. Plus, in the unlikely event that an accident does happen, you’ll have the peace of mind of knowing that your electrician is fully licensed and insured. So if you’re looking for an Armadale electrical expert, simply get in touch with a member of the Direct Electrics team today to find out more about our professional electrical services and arrange a visit from one of our electricians.